17:00 — Anna Karpenko and Antonina Seriakova: “The Newest Technologies in the Contemporary Art Field”. 19:00 — Alla Sokolova: “Revolutionary legal consciousness as a source of the Soviet Law: paradigm shift”. Iryna Ramanava: “1937: how terror became the Great one”. 19:00 — Film/Conveyor: Alexander Vashkevich presents “A Short Film About Killing” (Krzysztof Kieślowski, 1987). 20:00 — Olia Sosnovskaya: Lecture-performance: “burn, on fire, alight, inflamed, glow, ablaze, fervent, go up in smoke”. 20:00 — Halina Rusetskaya: “A Case of a Revolution in Style. Psychoanalysis – a Scandalous Form of Knowledge”. 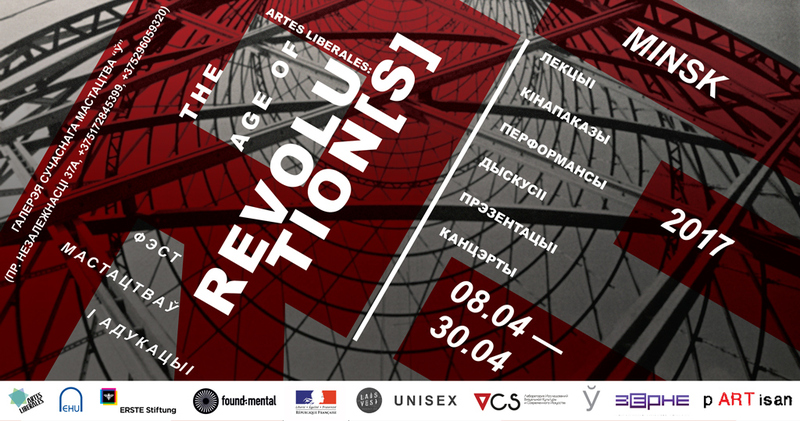 20:00 — Almira Ousmanova: “Revolution and Representation”. 18:00 — Andrey Gornykh lecture. Presentation of multimedia-projects of EHU students.